The Winnipeg Jets have two wins and two losses under their belt four games into the 2016-17 season. Though they’ve put great heart on display, they’ve also managed to undergo some heartbreak early on. While finding some success to their game, their overall play has been inconsistent and they’ll need to fix this rut in their game as the season progresses. The Jets for the most part look as if they only want to show up for 20 minutes a night, pick one period to dominate, and then playing catch up with their opponent for the remaining 40 minutes of play — given that they don’t find themselves in overtime, which they’ve already done twice. The Jets’ defensive issues are coming to light early in the season, and their offense has been slow to start in just about every game but one, and they still managed to lose that game against the Minnesota Wild. Let’s take a closer look at where these inconsistencies have been, and what issues they’ll need to fix in their game moving forward. The Jets’ blue line seems to be a little thinner without Jacob Trouba back there as he continues to play the waiting game with the Jets on his trade request. With what they have now, though, the Jets’ defense need to step up in order to fill the void, which hasn’t exactly been the case so far. 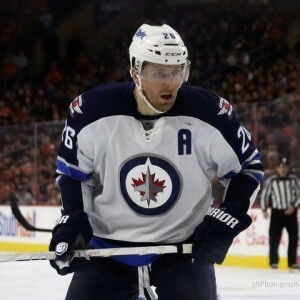 The team is playing smaller than their size suggests, something that needs to change immediately with the likes of Dustin Byfuglien, Tyler Myers and others on the team. They’ll also need to be more consistent in their own end, as they’ve given up far too many pucks and too much space in their own zone and allowed too many scoring chances on goaltenders Hellebuyck and Hutchinson. Teams have been finding ways to score on them early, and they’ve struggled to get themselves back in the game when that happens. Of Winnipeg’s 14 goals so far this season, seven have come in the third period, and two have been the game-winning goals in the Jets’ two overtime wins. That means the team has scored just five goals in either the first or second periods in the first four games they’ve played. As sweet as these overtime comebacks have been, they’re not a safe bet for two points in the win category. The Jets will need to utilize that firepower up front early if they hope to establish themselves against their opponents from the get-go. You rarely see teams coming from behind to win games when those leads are two or three goal leads, so they’ll need to start getting their goals in early if they want to separate themselves from the opposition. In doing so, this would help give them a little breathing room instead of always fighting for air and one more goal. They can’t keep relying on overtime heroics to collect wins. With inconsistent defense often comes inconsistent goaltending, and that’s what we’ve seen so far in Winnipeg, unfortunately. Hellebuyck has managed a save percentage of just .863 with a GAA of 3.45, while Hutchinson owns a save percentage of .887 and a GAA of 4.02. Those numbers won’t put your team into playoff contention and the team knows it, the goalies know it, the fans know it. While the goalies have been able to find a way to come up clutch in the third period while the rest of the team finds a way to make a comeback, no team ever wants to have to put themselves in that position for every game. The goaltending has been inconsistent, but that’s because the team’s entire level of play has been inconsistent. By fixing one thing at a time, all the pieces should fall into place soon. Although the Jets have kept the games close in terms of scoring so far, it’s their inconsistent level of play that will be their Achilles heel this season if they can’t figure out how to compete for a full 60 minutes. They need players to step up both offensively and defensively, as the talent exists within the locker room and they’ve shown they have the heart to play when they want to. Unfortunately, it hasn’t been happening often enough, but it’s early on in the season and they have time to get the gears in motion to make a push up the Western Conference standings. The Jets are arguably in the NHL’s strongest division and points won’t be easy to come by, so it’s up to them to come to play night-in and night-out as every game and every point counts. They need fast starts, and they need to strengthen their defensive efforts to refrain from playing catch-up all the time. How well their offense can play for 60 minutes has also yet to be seen, but they possess a lethal offense with a potent group of forwards who have a knack for scoring goals and they’ll need to start showing up more often if they hope to win games. I know you’re never supposed to put the blame on the goaltending of a team, but Connor Hellebuyck and Michael Hutchinson will have to be more consistent and raise their level of play if they hope to keep their team in games as well. They haven’t been playing poorly, but they haven’t been playing great either. It will be an all-around effort from the team to reduce their goals against and add to their goal scoring. Let’s see if they can pick it up. The Jets are back in action Oct 23. to take on Connor McDavid and the Edmonton Oilers at MTS Center. The team will be looking for a quick start coming out the gate, so here’s to hoping they get that quick start and hold tight of the reins until the final whistle to earn a much needed two points. Consistency will be key moving forward.